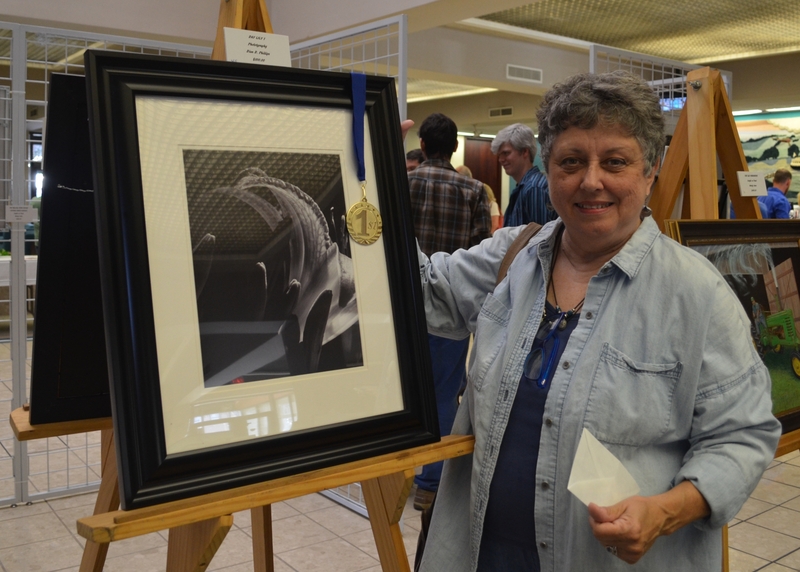 Eight winning entries in River City Art Association’s 9th annual juried exhibition in August are featured throughout September in First Financial Bank’s Springhill branch in Terre Haute. This entry was posted in Art Show and tagged altered book, Badlands, collage, day lily, drawing, encaustic, First Financial Bank, flowers, fused glass, ginko, mixed media, oil, painting, pastel, photography, poetry, River City Art Association, Terre Haute, TK-12188, Wabash. Bookmark the permalink.